A long duration, moderate, solar flare reaching M1.3 peaked at 16:53 UTC on May 3, 2013. The source of the event was Region 1731 still classified as Beta-Gamma-Delta and capable of more strong eruptions. This region has rotated out of the Sun’s central disk area toward western limb. Before that event ended an impulsive and strong M5.7 solar flare erupted and peaked at 17:32 UTC. The source is probably old Region 1719 located on the Sun’s eastern limb. 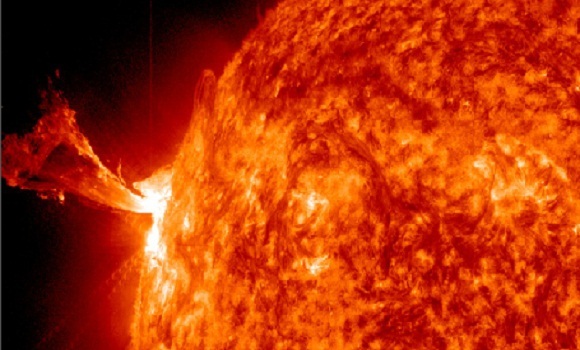 A Type II radio emission was associated with the event which typically indicates Coronal Mass Ejection (CME) . If CME was generated it should not be Earth directed. 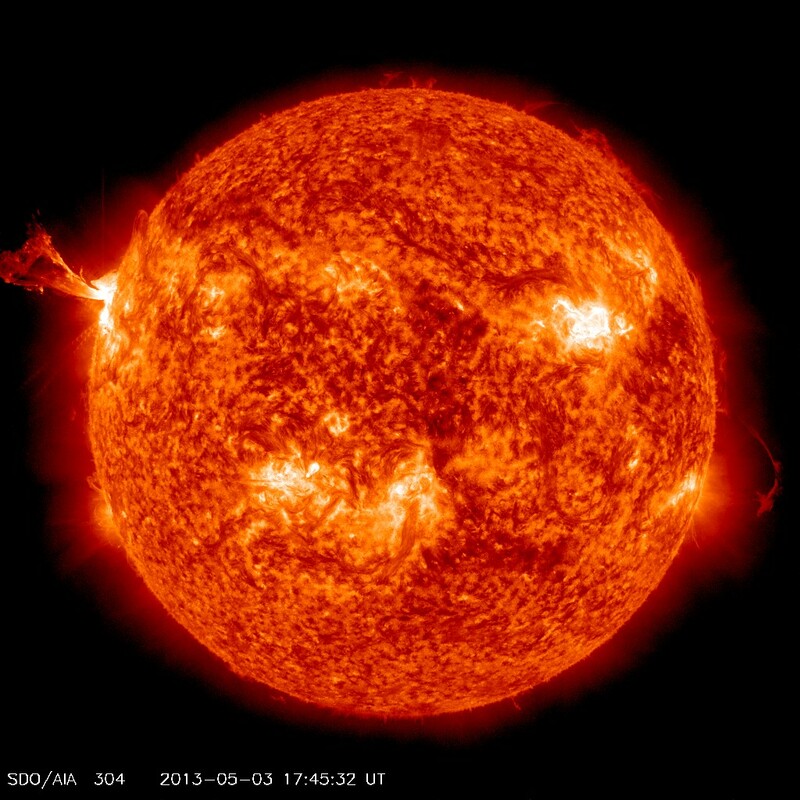 NOAA SWPC forecasters estimate 30% chance for M-class solar flare, and 5% for an X-class today. Potential Impacts: Area of impact centered on sub-solar point on the sunlit side of Earth. Extent of blackout of HF (high frequency) radio communication dependent upon current X-ray Flux intensity. 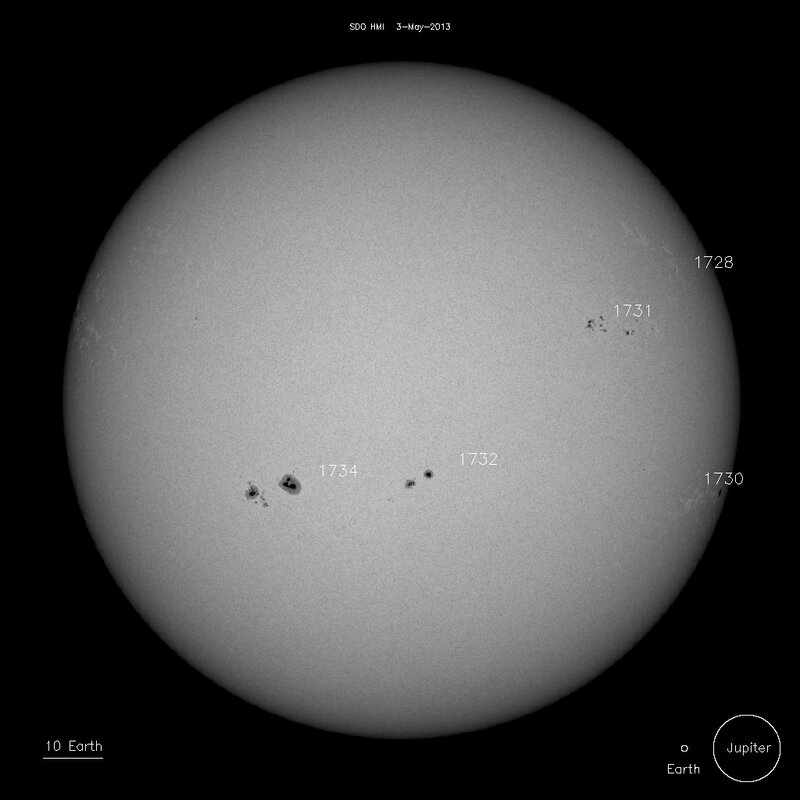 There are currently 5 active sunspot regions on the disk. Region 1731 maintains its Beta-Gamma-Delta magnetic field configuration but is now rotating toward western limb. Other than that, regions 1732 and 1734, located at the center of the disk, have Beta classified magnetic field. Regions 1728 and 1730, located on the west limb have Alpha and Beta magnetic field, respectively. 1,700 Kids Threatened with Suspension: Get Vaccinated or Get Out!